The Georgian Hills 65 inch Bow Front Media console Electric Fireplace in Oak Finish will fit most flat panel TVs up to 75 inches. This media console unit uses a supplement heat source for areas up to 400 square feet. It has realistic 3D Flame effects and operates with or without heat. This Fireplace console comes with a convenient remote control. There is some assembly required. 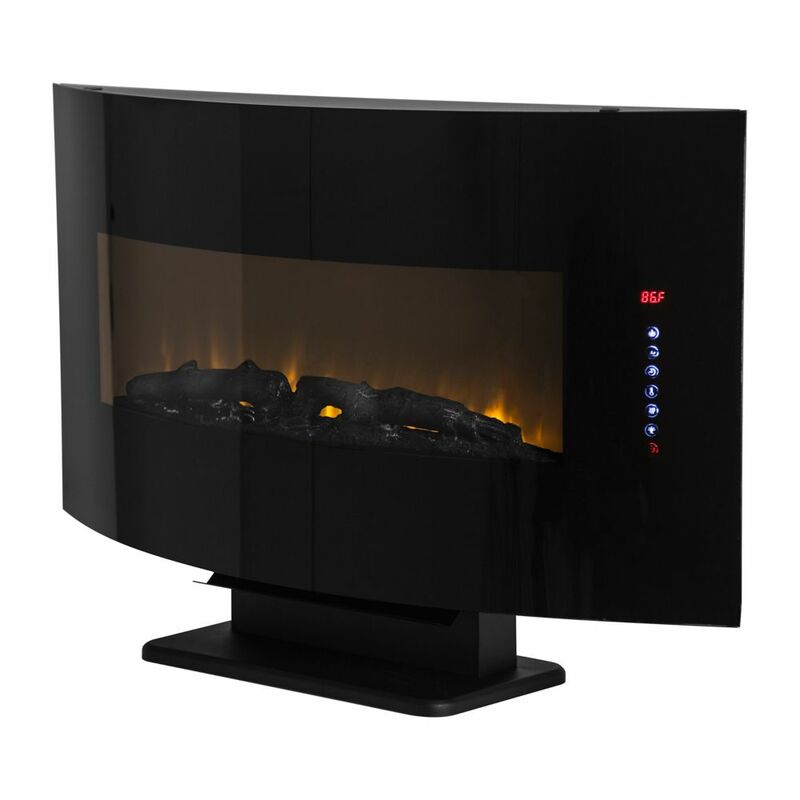 42-inch Contemporary Curved Front Slim Line Wall Mount Electric Fireplace Stylish and contemporary, this wall mounted fireplace comes with a curved glass front and will add a chic, aesthetic look to any room. A choice of traditional log, zen stone, or crystals for the ember bed and with seven colour lighting options, it is sure to set any mood. Mount on the wall or use the stand to add flair and heat anywhere. Remote control included.